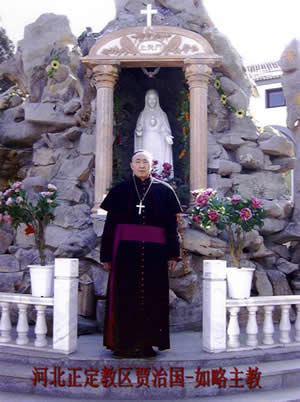 Stamford, Connecticut, U.S.A. --- Bishop Jia Zhiguo 賈治國, the underground Roman Catholic bishop of the Diocese of Zheng Ding 正定 in Hebei 河北 Province, was arrested again by the religious bureau personnel of Jin Zhou 晉州 in Heibei on June 25, 2006 while he was still very sick with his catheter in place after his operation in early June. We do not know where he is now. In the morning of that day on June 25, the authority informed the nursing staff taking care of Bishop Jia at the local hospital that a car was being sent to take the bishop home to Wu Qiu 武邱. 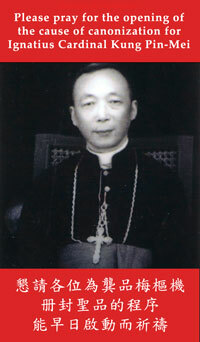 In fact, the Chinese authority was forcing the bishop out of the hospital before the completion of his medical care. By noon, when his faithful still did not see him coming back, they began to inquire to the religious bureau about the reason for the delay. The religious bureau told them that the bishop was being sent for "education" for several days. The faithful had thought that the delay was due to the arrival of the Vatican delegation in Beijing because the authority has had a policy of taking the bishop away when there have been important people in town. If so, and inasmuch as the Vatican delegation has left China, Bishop Jia should have been released in consideration of his bad health. He is still in detention and his whereabouts are unknown. Bishop Jia is 72 years old and was ordained a bishop in 1980. He was previously in jail for approximately 20 years and has been under strict surveillance for many years. He takes care of approximately 100 handicapped orphans in his house. As far as we know, this is the ninth time that he has been arrested since January 2004. 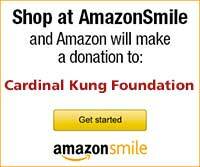 Joseph Kung, the President of the Cardinal Kung Foundation, said: "To kick a person out of a hospital and send him away for detention with his catheter still in place and without adequate medical care is obviously naked evidence of total violation of human rights in China. I appeal to both the governments and the corporations of freedom loving countries to take into greater consideration – consistently and persistently, and not haphazardly – all human rights violations, including this one reported above, when forming and implementing their respective political and commercial decisions of their China policies. Moreover, once again I urge the Olympic Committee to consider canceling the Games in China in order to preserve their good name and spirit. Otherwise, the noble name of "Olympic" could be severely tarnished by its association with religious persecution and human rights violations in China."